Apple News+, announced Monday morning, wants to change the model for subscribing to news. Rather than paying for digital access to a particular newspaper or magazine you read, the app’s “Netflix for news” model charges subscribers a flat monthly fee for access to news from an array of media partners. Among the first to sign up is our own local news powerhouse, the Los Angeles Times. The Times will be joined by the Wall Street Journal, National Geographic, and nearly 300 other titles that typically enforce paywalls on their content. Apple News+ started its life as an app called Texture, which Apple purchased in 2018, CNet reports. Launching today, Apple News+ will cost $9.99 per month, which includes family sharing. Publications will be available in English and French. Right now, the app is only available to readers in the U.S. and Canada; Australia and the U.K. will get access later this year. As with any high tech launch, privacy implications are always among the first questions to pop up. 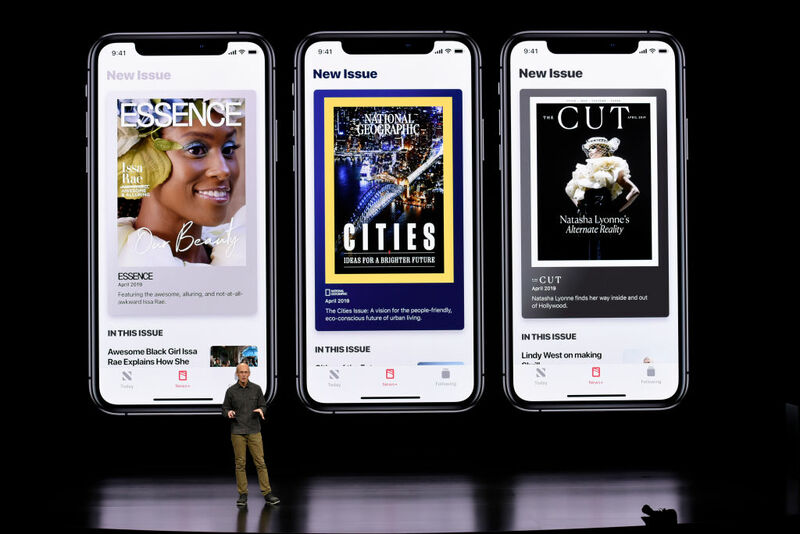 Apple addressed that during the launch event, stating that the app will not track what specific publications or articles a user reads, and will not be sharing reading history with advertisers. Partnering with Apple comes at a time when the Los Angeles Times is actively working to expand its digital footprint. The paper states that it has a daily readership of 1.4 million, and logs more than 39 million unique visitors per month on latimes.com–yet the number of paid digital subscribers hovers around just 150,000. The paper states that its owner, Dr. Patrick Soon-Shiong, hopes to grow that online subscriber base to 5 million, and the Apple partnership is part of that. RELATED: Is Apple Building a Store Inside a Downtown Theater?